First Encounter download (1.9 MB). Requires a copy of Wolfenstein 3D v1.4 to play. 1. 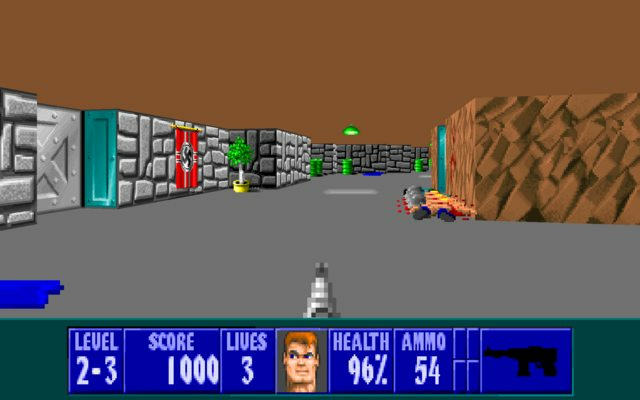 Install Wolfenstein 3D from Steam to your DEFAULT Steam directory. 2. Unzip the contents of the zip file into a folder of your choice. 3. Run the batch file to start the game. 1. 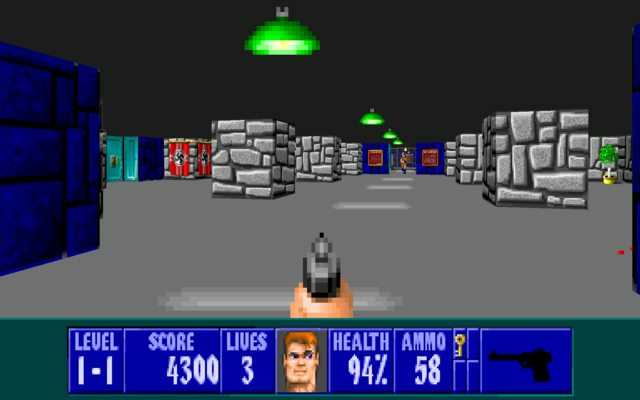 Install Wolfenstein 3D from diskettes or CD (or piracy, whatever) into a folder of your choice. 2. Run Blzut3's patcher to ensure your copy is the most up to date variant of v1.4. This is a MUST for Apogee-distributed versions, they will not work otherwise! 3. Unzip the contents of the mod as above, but into the same folder as your Wolfenstein data files. Video of level 1-2, "Office Space". This is something I've been thinking about doing ever since I did my ECWolf Classics conversion of Second Encounter--a 34-level (30 normal + 4 secret) mod inspired by the Mac Wolfenstein level progression and using gameplay elements from Coffee Break. 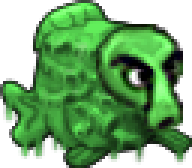 The 30 levels in the main progression would be divided into six units, each with a boss enemy (and unlike most mods, each boss will have unique behavior and require different strategies). While most of my mods can be very difficult, especially on skill 4, this mod's difficulty curve is meant to resemble a retail game and be accessible even to people who have never played Wolfenstein before. The levels start out short, easy, and simple, and will gradually get longer, harder, and more complex over the course of the campaign, adding new weapons and gameplay elements--the final unit will probably have a difficulty level similar to Spear of Destiny. The First Encounter is now available for download, containing the first two missions, with nine levels out the planned 34. It is the year 1943, in the darkest hours of the Second World War. You are William J. "B.J." Blazkowicz, a spy working for the American OSS intelligence service. While investigating a rumored German chemical weapons program in occupied Lithuania, your cover was blown and you were arrested by the SS and sent to the notorious Castle Wolfenstein, in the Bavarian Alps. Once owned by Bavarian nobility, Wolfenstein is now a prison where Allied spies are interrogated and executed. You have been imprisoned in Castle Wolfenstein for twelve days. You have overheard orders from your jailer, Oberst Hans Grosse, that you are to receive "special measures" to loosen your resistance to questioning. You see a guard coming towards your cell, but whatever he has in store for you, you have no plans to find out. As he opens the cell door you fling yourself upon him, crushing his windpipe with your hands. As blood pours from the now limp guard's mouth and nose, you take the knife and pistol from his body. You listen carefully--no one seems to have heard you. Most assuredly, however, they will inevitably come looking when the dead guard fails to report back. You survey your loot from the guard. His uniform is too small for you to wear, but you fit into his boots. Boots, a knife, a pistol, eight bullets. Enough to kill two guards, maybe three. Your act of desperation has sealed your fate. If the Nazis see you, they won't give you a second chance. Your mission is clear. 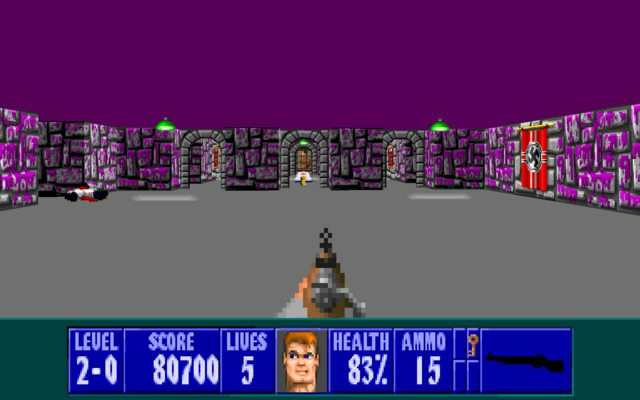 You must escape from Castle Wolfenstein, or die trying. The enemy will be out for your blood, and you'll need every means at your disposal to kill them before they kill you. As you load the pistol, you think to yourself that you signed up to be a spy, not a one-man army. Guess there's a first time for everything. * Seamless 30-level progression with four secret levels and Mac-style segmented level numbering (so level 17 would be labeled 4-3). * Six missions that follow one after the other, each with its own architectural theme. * All the new weapons, enemies, and mechanics from Coffee Break--bolt-action rifles, flamethrower Nazis, and more! 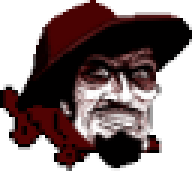 * A "drip feed" of new enemies, weapons, textures, and gameplay mechanics that keeps gameplay evolving throughout the course of the mod. * Much tougher and more powerful dogs. * Four keys: gold, silver, bronze, and iron. The silver key only appears starting mission 2, the bronze key starting mission 3, and the iron key starting mission 5. 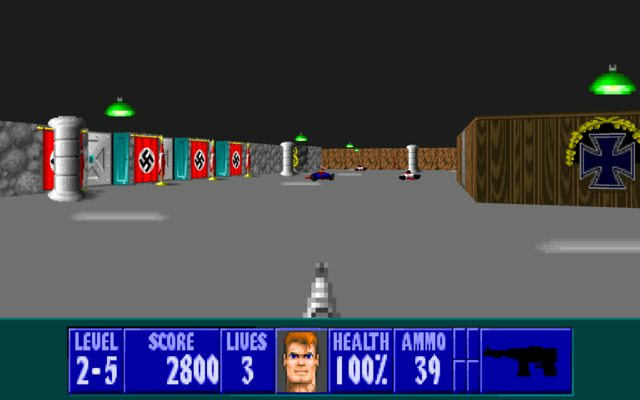 During your investigation into Nazi secret weapons research, you were captured and imprisoned in the dungeons of the notorious Castle Wolfenstein. You must make your way out of the dungeons, through the keep, and out the main gates to escape. But beware--Colonel Hans Grosse, your jailer, isn't about to just let you walk out the door! Now that you are free from Castle Wolfenstein, you must pick up the trail and infiltrate a secret Nazi chemical weapons facility on the Baltic coast. Find and destroy the Nazi chemical rockets before they can be used on the Allies, and assassinate the project's head, General Gottlieb Totenauge, to ensure the project stays dead for good. The secret elevator in the heart of Castle Hollenhammer has led you here, to the secret laboratory of Dr. Schabbs. Four floors filled with deadly traps and monstrous horrors stand between you and the evil doctor himself. Kill them all and bring an end to his plans! Allied Command has located Hitler somewhere inside a bunker complex called the Adlerhorst (Eagle's Nest) beneath Castle Kransberg in Kransberg village in rural Hesse. Infiltrate the complex, storm Castle Kransberg, and find the entrance to Hitler's bunker, which is guarded by none other than Klaus-Gustav Ritter von Wetterau, known more commonly as der Totenritter (the Death Knight), Hitler's personal bodyguard and the most feared warrior in the Third Reich. Good luck--you'll need it. These hidden treasure vaults can be accessed from secret locations in Missions 2, 3, 5, and 6. Millions of dollars worth of gold and other loot have been stored in them--but they're also very heavily guarded. If you can make a Geto Boys IMF that fits in with the rest of the Wolfenstein soundtrack, knock yourself out. Saw this on the DieHard forums, obviously as a Wolf fan this looks great and I'll be giving it a go when I can. Looks really good. I'll make a note to check it out at some point. The 1st video was quite entertaining. It seemed like a few enemies respawned near the end of the first level, which was pretty cool. Enemies don't respawn, any such strange things you see are just tricks of guard/floor code placement.